Flower Form7", cup-shaped, tuliplike flowers. Foliage TypeOvate, medium green, leathery leaves, up to 6" (15 cm) long. Leaves turn yellow in fall before dropping for winter. 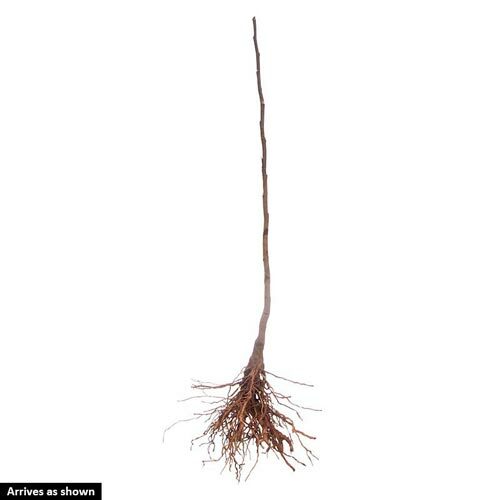 Soil RequirementWell-drained, organically-rich, acidic, moisture-retentive soil. 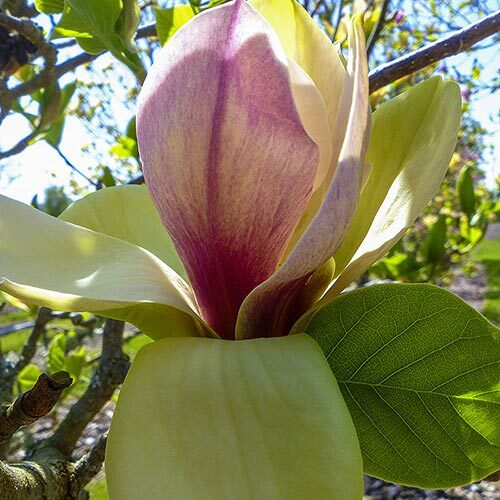 Unique CharactersticsHeritage: During the 2011 Magnolia Society meeting in Rhode Island, a majority of ladies in the crowd raved about this abundant bloomer with its rosy-accented flowers. 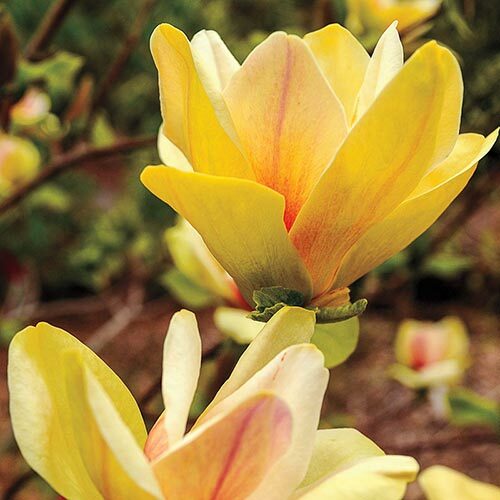 It's a wonderful selection due to the warm color tones, blooming later than any of the other yellows and before the emergent leaves. August Kehr, the hybridizer, would have never accepted much credit for this plant he created, but he deserves all our thanks for his exceptional work, including this plant. Interesting story: On the way to see Augie from Raleigh, NC Pat McCracken and Mark Krautmann decided to accept August's invitation to name all of his (at that time, only numbered) superior yellows. Before we got to Hendersonville, where he and his wife lived, we came up with Stellar Acclaim, Sunsation, Solar Eclipse, Hot Flash, and Sunspire. Augie was too modest to name his own "children".